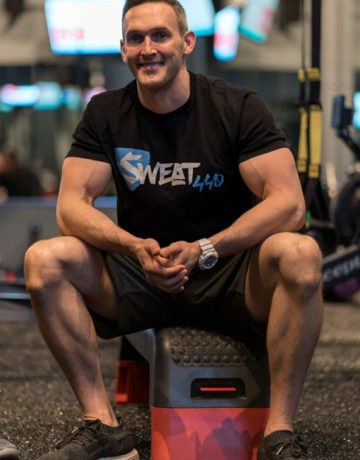 Matthew Miller is the co-founder and co-owner of Sweat440, the newest athletic training facility set to open in Miami Beach’s popular Sunset Harbour neighborhood. Miller has more than 15 years of experience training athletes, celebrities, professional models, and general fitness enthusiasts. Sweat440 offers an all-new signature training program featuring small group fitness classes that incorporates four different types of exercises in one session including, but not limited to: HIIT (high-intensity interval training), mobility training, and strength training. Each station is set to last 10 minutes long for a total 40-minute workout, with a new group beginning every 10 minutes. Prior to developing Sweat440, Miller founded Miller Sports Training & Fitness in 2009, which encompasses a team of certified and well-qualified professional trainers that travel to their clients’ home, condo, or office gym. Miller Sports Training & Fitness currently services clients across Miami-Dade and Broward counties. Miller holds a bachelors degree in Exercise and Sports Science from The University of North Carolina and is a Certified Strength and Conditioning Specialist thru the National Strength and Conditioning Association.